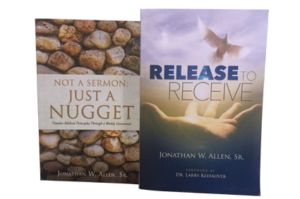 Books | Jonathan W. Allen, Sr.
About 9 years ago, Pastor Jonathan Allen, Sr. delivered a sermon about the biblical character Hannah. This is a woman who was plagued by infertility, considered a curse in biblical times. Through ridicule and public shame, Hannah endured her plight. She eventually recognized that she needed to look within, with God’s help, and examine her role in her current situation and what God, through His prophets, might be saying to her to make a change. She ultimately let go of some of her own “issues” and received a blessing from God, a child of her own! 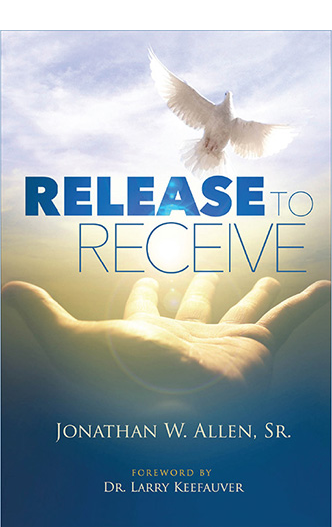 In “Release To Receive,” Jonathan Allen examines the hurts, hang-ups, and habits that we all carry. It is these various attitudes, assumptions and actions that regularly block us from some of the blessings that God has in store for us. This book promises to be an in-depth and personal journey for the reader, using a 30-day devotional and journal experience to guide each individual to their own moment of release. Available at: Amazon.com (paperback and hardcover) (Kindle Edition); Barnes & Noble (paperback, hardcover, and Nook); Xulon Press (paperback, hardcover). 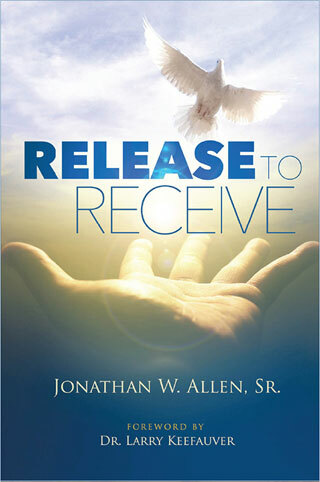 Xulon Press introduces Release To Receive by author Jonathan W. Allen, Sr.. Available at Xulon Press in paperback and in hardcover formats. A devotional intended for individuals in all stages of life. A nugget is presented for meditation and application to your everyday life. 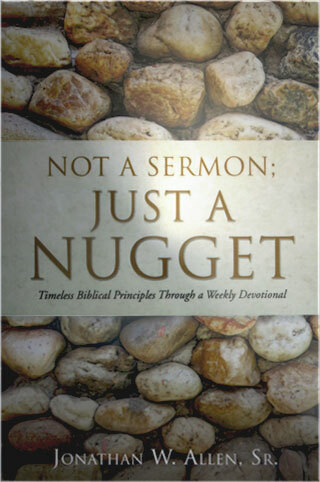 The nuggets can be used weekly as Bible study tools, sermon starters and for personal growth. This book is designed to lead those who are not saved into a personal relationship with Christ and to help those who are new believers in Christ and those who do not read God’s word regularly to develop a consistent pattern of reading God’s word on a weekly then daily basis. 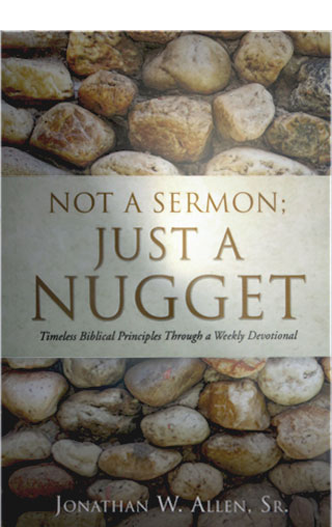 Not A Sermon; Just A Nugget is available online through Amazon.com, Barnes & Noble and Xulon Press. Want an autographed copy of the book? Follow @jonathanallensr on social media (Facebook, Twitter, and Instagram) to find out about his latest events and signings.